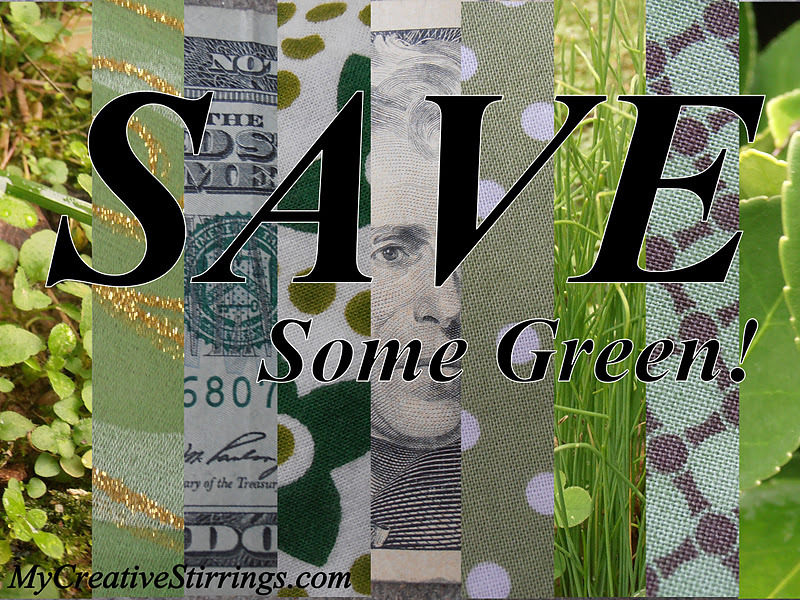 My Creative Stirrings: Save Some Green! As we have begun our new student journey we have had to be extra careful in our expenditures. I had a brilliant thought a few weeks ago and thought I would share it with YOU! We have recently incorporated a weekly grocery budget. Let’s say it is $100. If you always shift your grocery shopping day by one day later each week you will save yourself a lot of money! For example, if I shop on Monday one week, Tuesday the next week, and Wednesday the following... I will eventually have skipped shopping one week saving myself $100. I personally have tried to push shopping off by 1-2 days each week so that in a month period I have saved the amount I spend weekly. If you shoot for this goal on $100/week budget you will have saved over $1000 that year! WOW, wow, wow! Hi ! That is how I shop. I make a list, like this week I have bought for mon-next mon. Then next week it will be tue- tues. Saves lots of money in the long run! What a good idea, I am gonna have to try this, I shop almost daily. I know, I know it is bad! I HAVE to do better, we are in dire straights at this time so I am menu planning and trying to shop smarter, I will try this. I love doing this whenever I can! Given our current single-car situation, I generally have to shop on Saturdays. But someday I would love to do this every week!